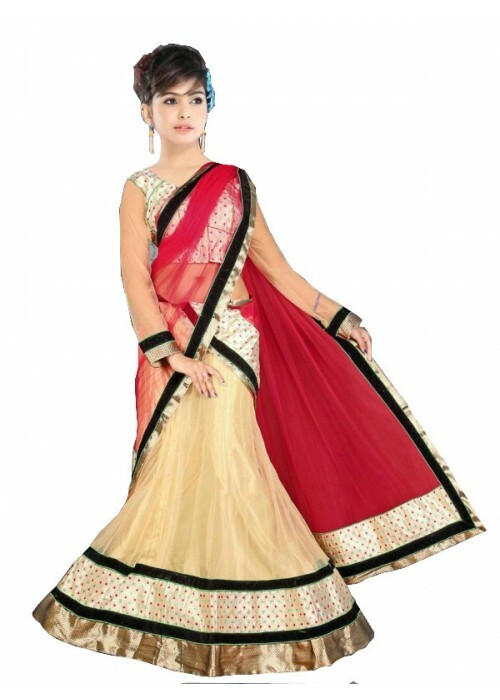 This full net chaniya choli in creamy white colour with contrast red odhani and matching brocket blouse. 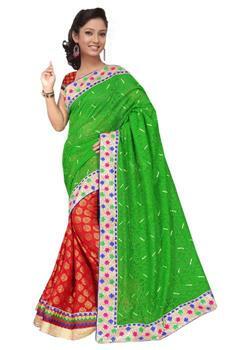 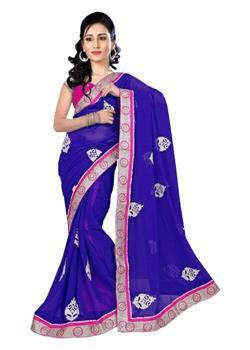 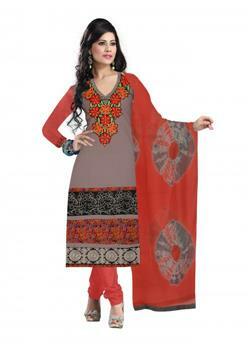 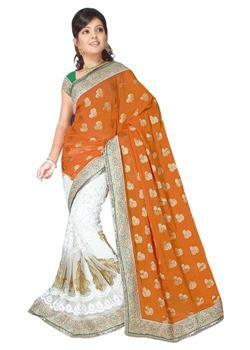 It is embellished with golden border along with green velvet strip that makes it pretty. 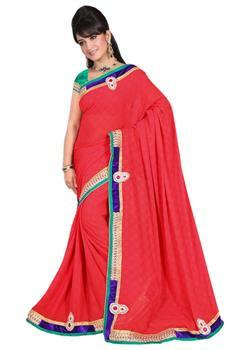 This simple plain lehenga choli only decorated with rich border gives you traditional look with contemporary touch.